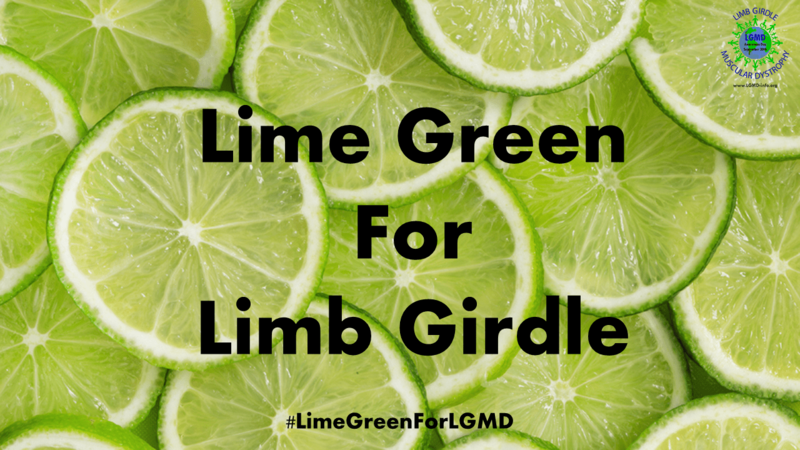 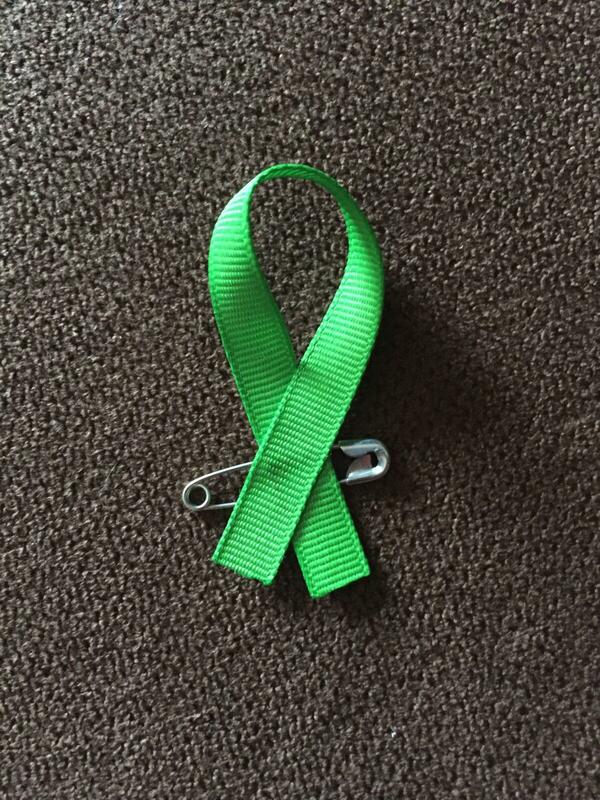 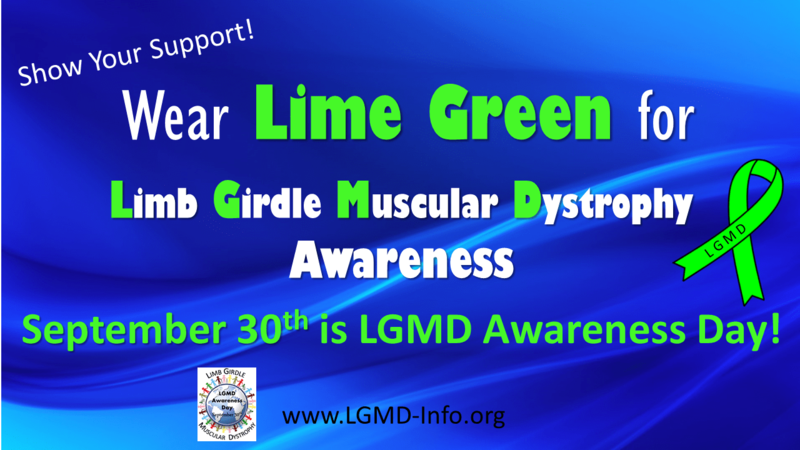 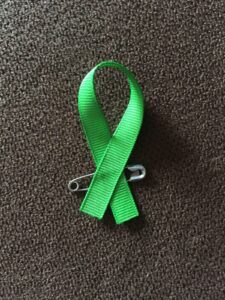 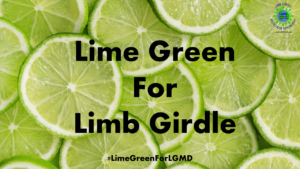 We invite you to proudly wear Lime Green for Limb Girdle Muscular Dystrophy (LGMD) Awareness! 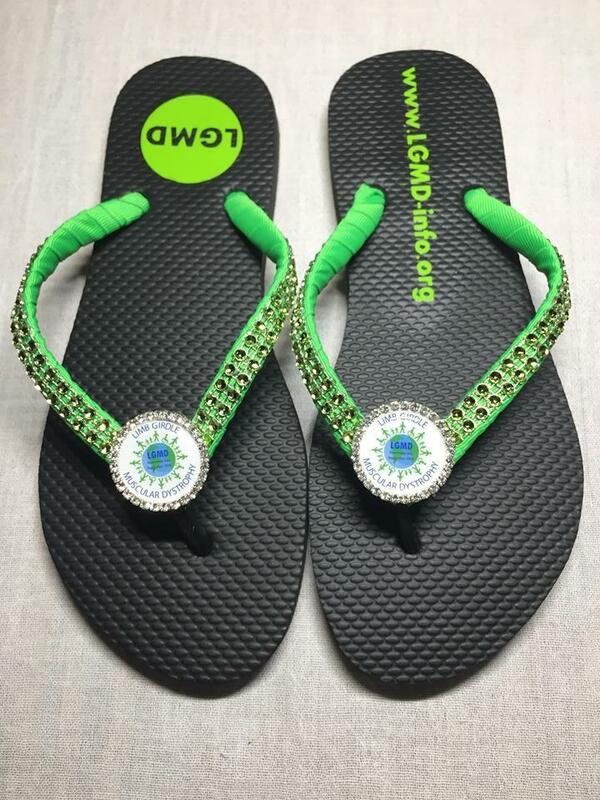 These fancy flip flops not only look good, they bring about awareness of LGMD! 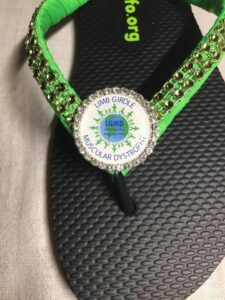 Visit Spiced up Shoes and Flip Flops on Facebook. They are only $22 per pair + shipping. To order, please Private Message the designer through her Facebook page. 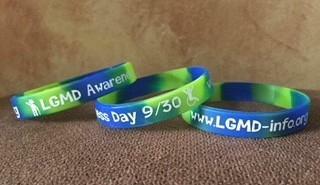 Check out these cool LGMD Awareness Day wristbands! 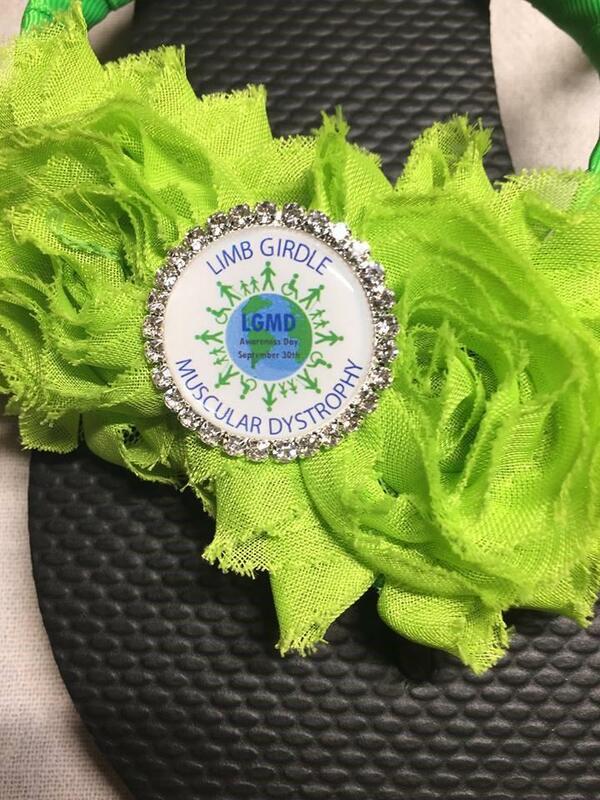 Check out these cool LGMD Awareness Day logo magnets! Available to ship anywhere in the world. 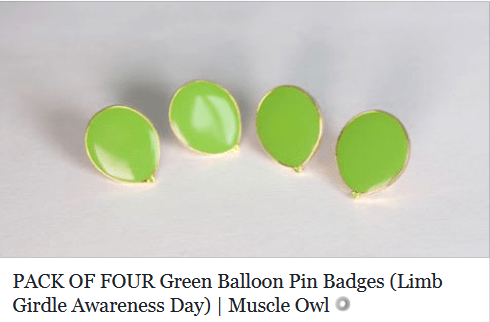 Visit our friends at Muscle Owl to order yours today. EJAI DESIGNS, an Etsy on-line Store, continues to offer customizable LGMD awareness products to help us increase awareness of Limb Girdle Muscular Dystrophy! 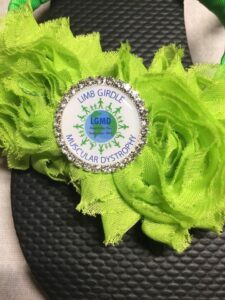 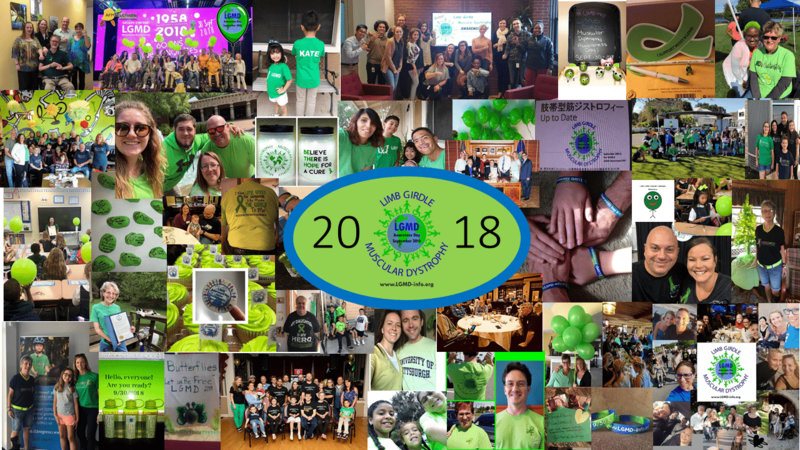 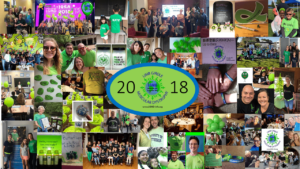 You may customize the t-shirts, bracelets and vinyl window decals by adding your name, your loved one’s name, “Limb Girdle Muscular Dystrophy” or another LGMD message below their artwork (30 characters limit including spaces). 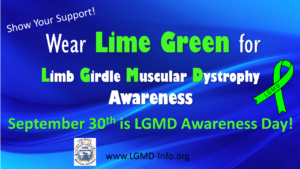 Be creative and personalize it to help spread LGMD awareness! Browse the website for a variety of other items also. 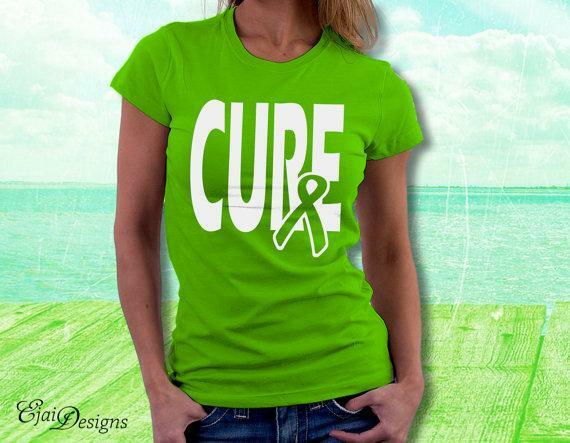 There are no minimum order requirements or any additional fees for customization. 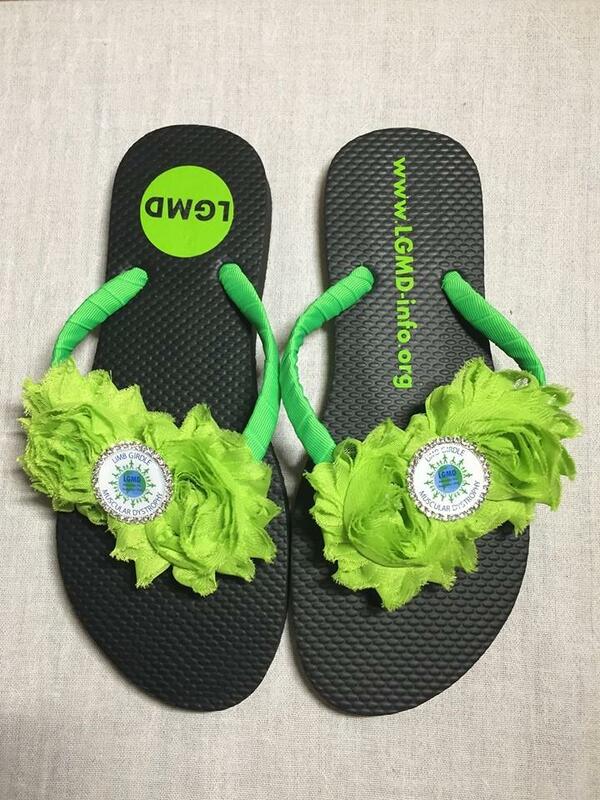 They will ship internationally.